This booklet will take you through the Bible as a whole, showing how various approaches can help or hinder. Are you having trouble getting into the Bible? Or have you been reading the Bible for some years, and find that you're not learning anything new? Or do you just want to see how the whole Bible holds together? Or maybe you're looking for suggestions on how to study the Bible more effectively. This booklet can help! First, it will take you through the Bible as a whole. Then it will show you how various approaches to Bible study can help or hinder your spiritual growth. How Does the Bible Work? The Life of the World to Come - Amen! So You've Read the Bible - What Next? John Richardson is now the Assistant Minister in the United Benefice of Henham, Elsenham and Ugley. He trained at St John's College, Nottingham, England, and at Moore College, Sydney, Australia. 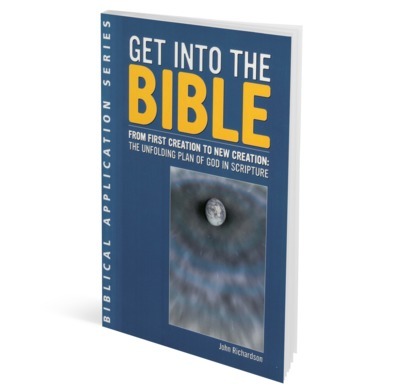 An excellent overview to the Bible suitable for those who have read the Bible for years or are newer to the faith. Brilliant.